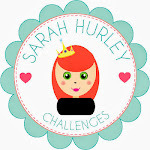 Sarah Hurley 365 (Formerly Sarah Hurley Challenges): Make a date! Today I will be showing you how to make a calendar that is an ideal wee gift for someone at Christmas. I picked up a pack of calendars on my last visit to the craft shop and was really stuck with what to do with them, so I visited Sarah's Online Silhouette Store and had a bit of a think and here is what I came up with. 1 Select a file to use, I picked the Shattered Triangles Background. Place it onto your work space, highlight in then go to the "Scale Window", click on "lock aspect" and type in 5 in the W box. I made mine 5x5", but you can make it any size you want. Then duplicate it 3 times, and place into the corners of the mat. You can do as many or as few as you like, I opted for 4 as I wanted 3 colours that would co-ordinate with my kitchen, and one frame. Put 4 pieces of paper just under 6x6" onto your mat, load it into your Cameo, and off you go. 2 Get a piece of thick card or grungeboard and cut it to 5x5", cover the edges with co-ordinating Washi tape, I used Silver Washi Tape. Pick another colour of card to work with the colours you have already picked and cut it to 5x5" then stick it onto the card. 3 Carefully remove the colour of the cut out you want as the frame from the Cameo mat, and stick it onto the base. I found the easiest way to do this was to cover the back of my hand with PVA and place the frame onto it. 4 Have lots of fun picking which colours you want to fill parts of the frame, I used a Quickie Glue Pen to stick them in as it gets right into the corners of the triangles. 5 Foam mount the calendar onto the finished background. 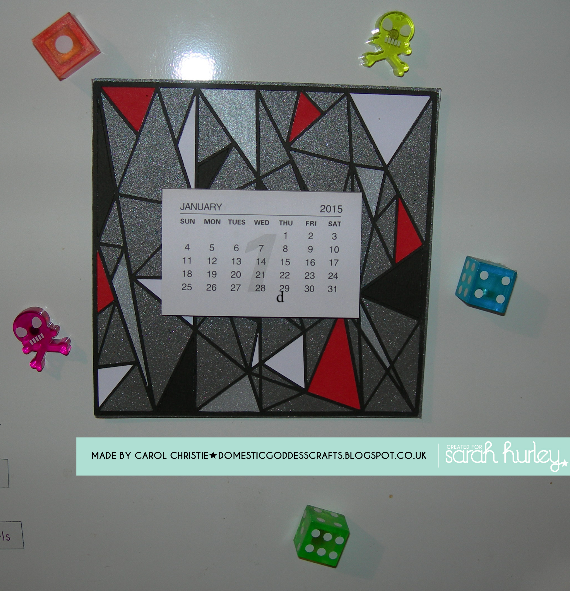 6 Pop some magnetic tape onto the back of it, and voila you have a calendar for your fridge. Thanks for popping by today and I hope this will inspire you to use your Cameo for Christmas gifts.